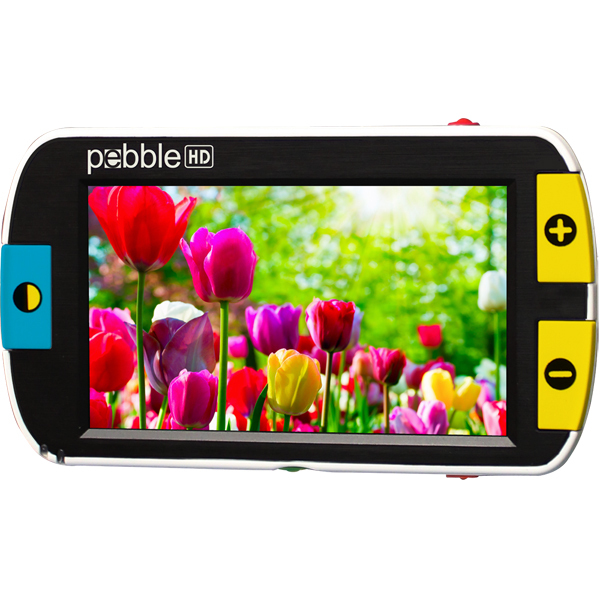 Pebble HD takes everything users loved about the original Pebble, and made it even better with a new high definition camera and an innovative light-weight ergonomic design. The colorful 4.3” HD display provides uncompromised power and clarity, giving consumers a vibrant, bold image with fully adjustable magnification between 1.25x - 13.5x. Weighing less than 8 ounces, and thin enough to slide into a pocket, Pebble HD is the perfect companion.